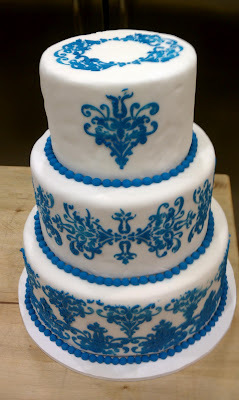 Here are three gorgeous blue and white wedding cakes I came across today! 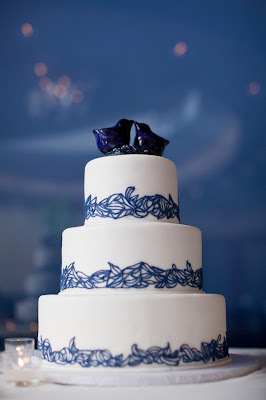 This first one is so chic and lovely with the two little blue birds kissing on top of the cake. An amazing pattern sampler cake set over 5 round tiers. 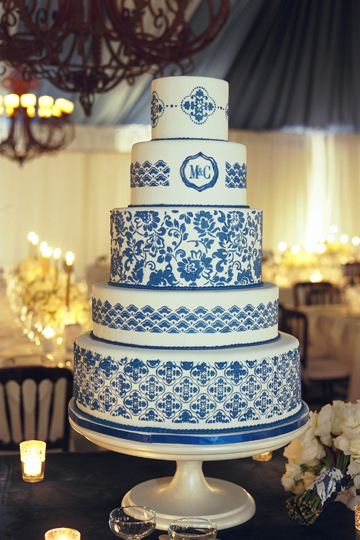 Lovely damask, so in fashion right now, always adds glamour.